Connect 4 in a row. 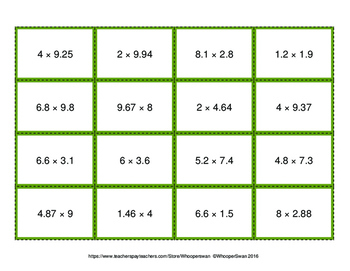 It includes 3 game boards and 3 x 16 problem cards. - Turn game cards upside down on table. - Take turns flipping cards over one at a time. - Solve the problems using scratch paper. - Find the answer on the game board and place your counter on the answer. 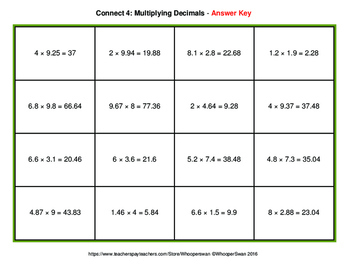 - The first person with four in a row wins! 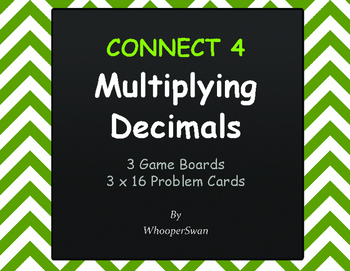 You can purchase ALL Connect 4 Decimals products bundled into one large set to save your money! 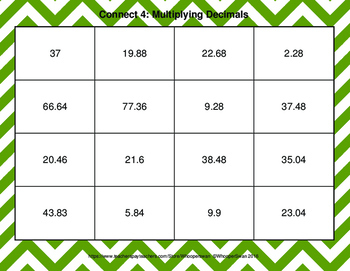 Please CLICK HERE to view other Connect 4 MATH Games!